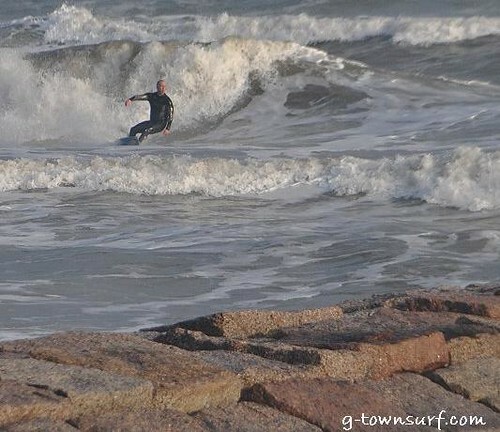 How’s winter surfing in Texas? Checkout this video from Texas Surf TV, shot December 24, 2009. Like an early Christmas present. Surfside, Tx Dec 24/09 from les freese on Vimeo. You’ll save hundreds of dollars if you buy used surfboards. Brand new surfboards cost a lot of money. A new Rusty shortboard can cost you over $800 easily, and longboards often are priced at over $1,000. Used boards are generally under $400, with many decent boards for first-timers running $250 or less. You help out a fellow surfer when you buy their surfboard. The surfboard gets to go to a good home (a surfer’s home where it’ll be loved and played with, not stuck on a wall for looks). When you ding the used board, it’s not as big a deal as it would be if the board was brand new. If you buy your boards new, a major ding or crack can cost you $800 (the price of a new board) versus a couple hundred. And even if the ding is small, the emotional damage is much less if the board is used rather than brand new. It’s similar to getting a scratch on a used car and getting a scratch on a new car. You can have more surfboards because you spend less on them. Imagine the variety of surfboards you could be surfing with! An $800 board could have been 3 used boards. Used surfboards usually come with a traction pad, a leash, and cool stickers. You get to meet a fellow surfer during the transaction, someone you might end up paddling out with. Buying a used surfboard is the best way to learn how to surf at the lowest cost. It’s easy to find used boards. It’s easy to sell used boards when it’s time to get another board. And the same money you sell it with is all you’ll need to get another used surfboard. Sell or buy used surfboards for free on Texas Surfers. And by the way, you don’t have to live in Texas to use the for sale board. Every month, thousands of surfers will see your free ad.